What Should Parents Know About the Risk of Measles in Vermont? | Checkup | Kids VT - small people, big ideas! What Should Parents Know About the Risk of Measles in Vermont? The recent measles outbreak, which started last December at Disneyland in California, has once again shone a national spotlight on the issue of childhood vaccines. Vermont is one of 20 states in which parents can opt out of vaccines for medical, religious or philosophical reasons. As a result, the Green Mountain State is home to a higher than average percentage of unvaccinated kids. Not surprisingly, Dr. Lewis First, head of pediatrics at the University of Vermont Children's Hospital, believes that parents should vaccinate their kids. In this month's "Check Up," we asked him to elaborate on immunization-related topics. He stresses that his goal is to work with all parents to help keep children healthy and safe. KIDS VT: Should pediatricians be treating unvaccinated children? LEWIS FIRST: The American Academy of Pediatrics does not have a policy about this issue. It's up to each individual pediatrician or family practice to decide. If parents are concerned about their practitioners' policies, they should ask about them. Certainly, if a case of measles came in without the practitioner knowing it, it could be devastating for all infants seen in a two-hour window of the infected child being in the waiting room. A doctor could schedule unvaccinated children to come in at the end of the day if they are sick, when the waiting room is clear, so I personally would not exclude these children from my practice. KVT: When does the rate of unvaccinated kids become problematic? LF: This is a complex question. One case of measles in an otherwise 100-percent-vaccinated community is probably not going to cause an outbreak. But one case in a cluster of families whose children are all in the same school and are also not immunized can be a disaster, as many other cases will follow. 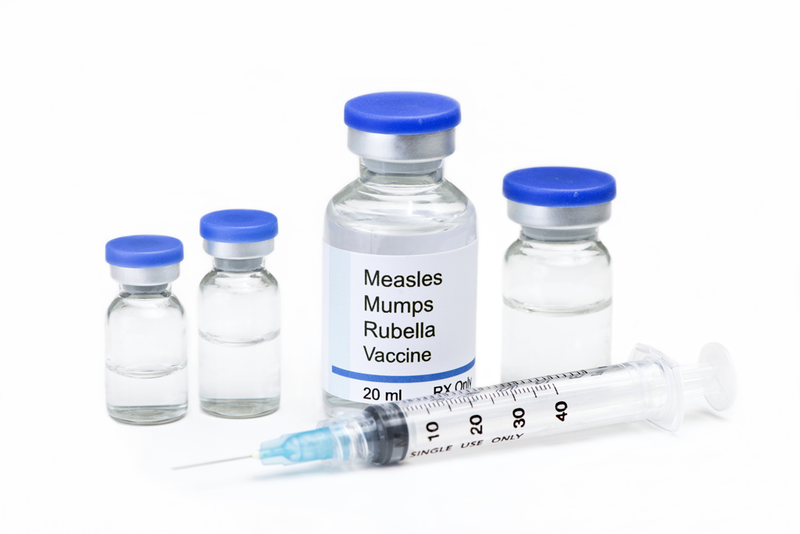 Measles is certainly one of the most contagious diseases. We know that when two doses of the measles vaccine are given on schedule, the effectiveness is 95 percent. But there's no perfect number of how many kids need to be vaccinated. KVT: What are your thoughts on delaying or spreading out vaccines? LF: The American Academy of Pediatrics is not in favor of an alternative vaccine schedule because we know diseases such as measles, mumps and rubella can affect children for the rest of their lives. While we will certainly talk with and listen to parents, when they go to an alternative vaccine schedule it means many more office visits, which may be more costly. It also prolongs the experience of getting shots for a child. More importantly, we time vaccines for when we think they can make the biggest difference, as the spread of each disease tends to affect a certain age. When you wait until your child is older to vaccinate him or her, you may have passed the critical period when he or she may have gotten sick. But what you don't want to do is leave your child vulnerable during that critical period of infancy and toddlerhood. The sooner a child gets vaccinated, the better. KVT: Why do some pediatricians still agree to use a delayed vaccine schedule? LF: We know that parents love their children, whether they choose to vaccinate or not. We honor their fears and want to work with them, not point fingers. We also want to do whatever we can to protect children from life-threatening illnesses. And delayed vaccines are better than none at all. KVT: How do parents find out about local vaccine rates? LF: In Vermont, both public and private schools are required to report their vaccination rates to the state. The data is available from the Vermont Department of Health, or parents can ask for it from the school. The state also asks childcare centers to report that data, but record keeping might not be as thorough as with the schools, where there are nurses on staff. So when looking at a prospective childcare center, parents should ask about its vaccination rate.